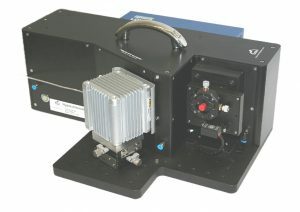 The Hyperchromator is a high throughput monochromator originally designed for the Energetiq EQ-99X LDLS. With fast optics, up to f/1.5, it efficiently collects the light directly from the small plasma spot of the light source without an entrance slit. This monochromator is optimized for monochromatic illumination applications where a tunable output from a point source is required. Additionally, white light output is available (zero order reflection). The output port has been designed with a very flexible opto-mechanical interface. This allows for a multitude of illumination or light coupling options using standard catalog components, rendering the integration of the Hyperchromator into your setup hassle free and straight-forward. Possible configurations include fiber coupling, collimated or free-beam output. The Hyperchromator is motorized and may be controlled via USB/RS232 and an intuitive GUI. Options for external control include LabVIEW, Python and others – your inquiries are welcome! 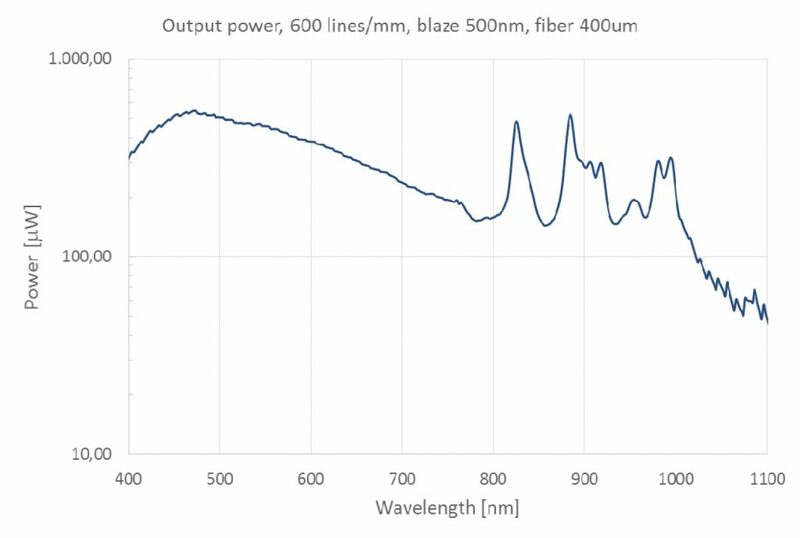 Optical output: Fused silica fiber, SMA or FC, 100-400μm core, or free beam output with adjustable slit or various collimator options. Spectral power monitoring: on request.